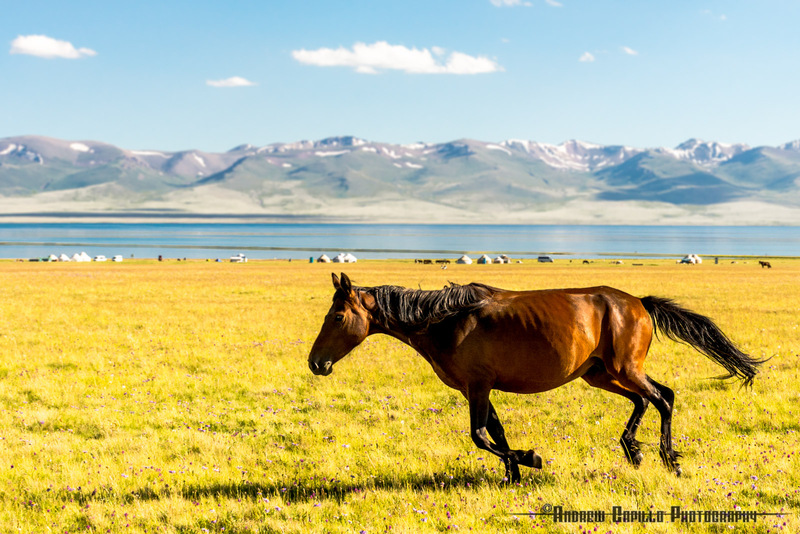 Where horses scud and mountains rise. 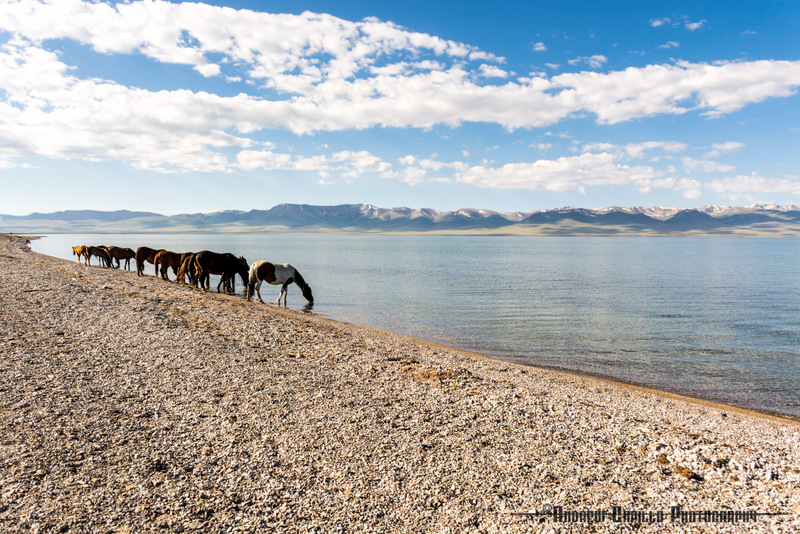 Deep in the remote mountainous Naryn region of Kyrgyzstan at 3,016 meters above sea level lies Lake Son Kul. 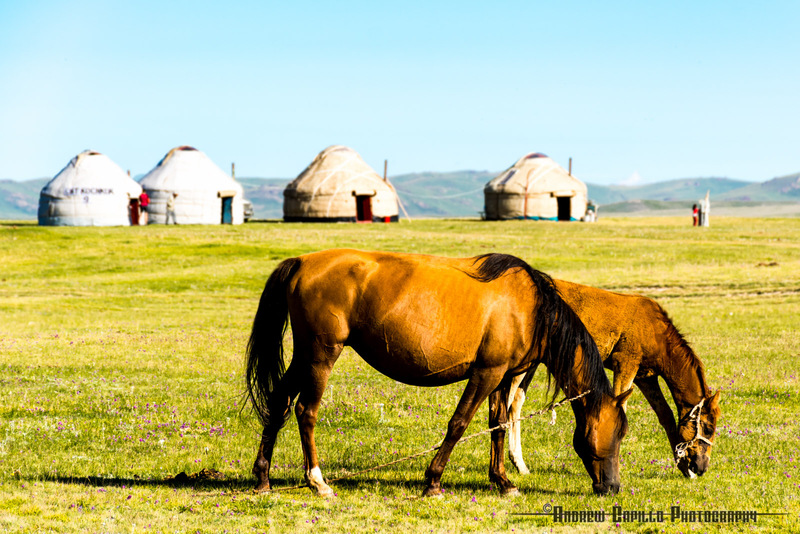 The people here at Son Kul live much as their ancestors did. For nine months out of the year, they live in the valleys and lowlands in permanents settlements. There they are spared the harsh face of winter in the mountain heights and can raise their livestock near glacier-fed rivers. 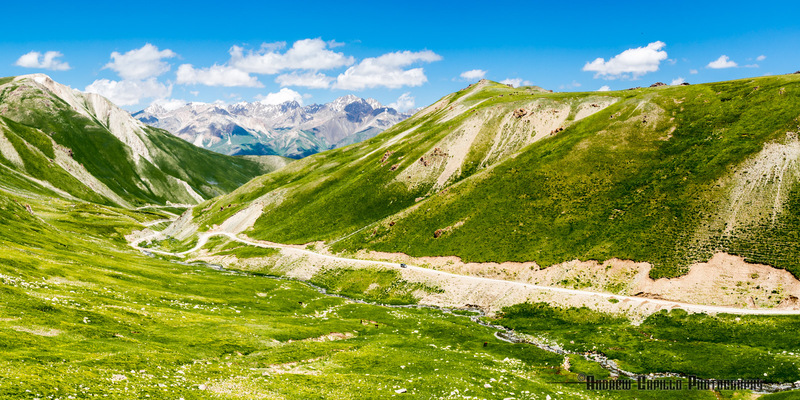 Come the summer, they herd their animals to the jailoos, the high mountain pastures open to the sun and ideal for grazing. 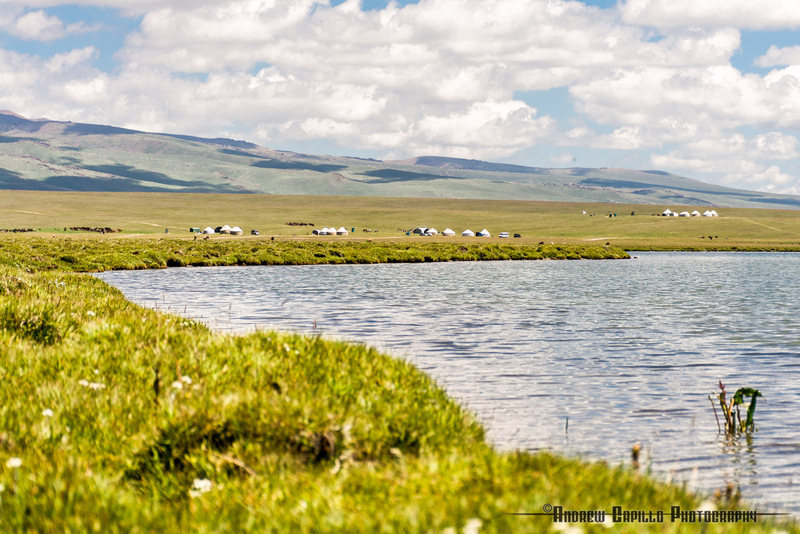 Stretching between the snow-capped mountains to the north and the southern slash of cloud-studded peaks in the south, it was easy to see why the land around the clear, glassy mirror that is Lake Son Kul is considered the crowning jewel of jailoos. 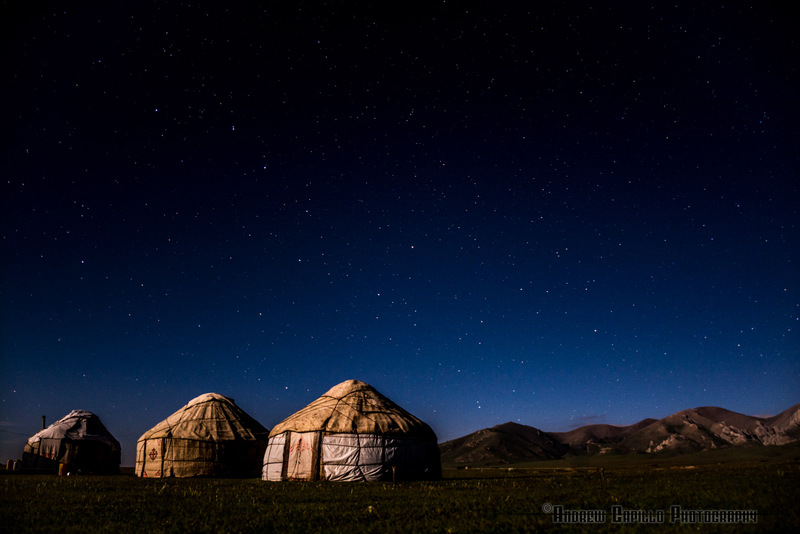 When each day the dawn slices open the eastern horizon and the tongues of light lap up the edge of the earth to pour into the basin, pile up against the yurts and crash into the mountains, they find no infrastructure or buildings to illuminate. 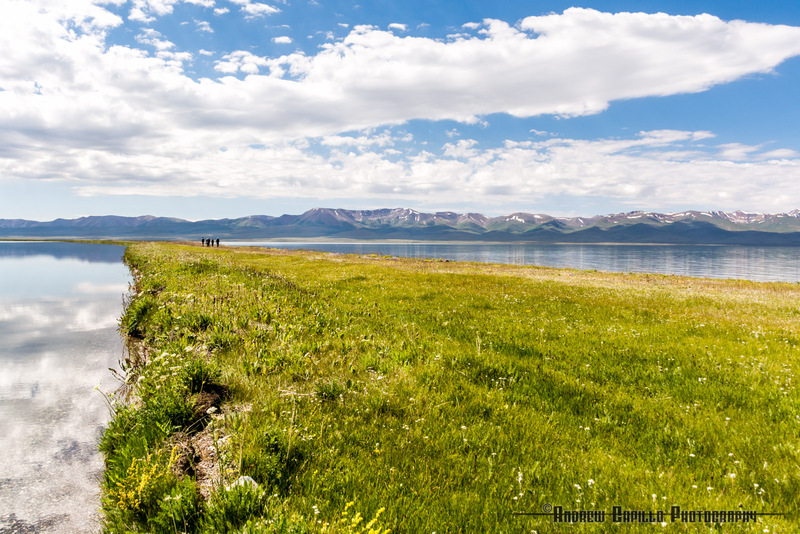 This is a land that is untouched, undiscovered and completely undeveloped. The people here are as rugged as the land. The men tend their flocks with calloused hands and hard eyes. 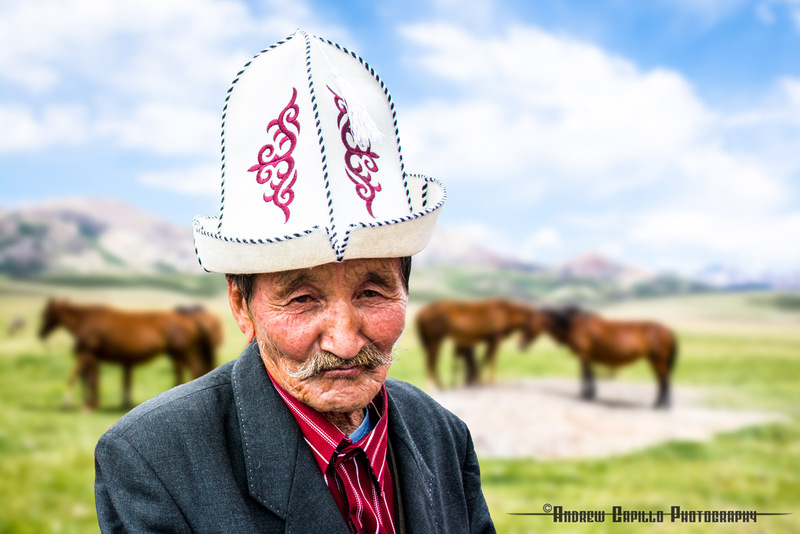 Tall, traditional hats called kalpaks featuring four white velvet panels decorated with traditional patterns adorn their heads and recall the mountainous land that inspired them. The women favor shawls or headdresses and wear flowing dresses that are equally bright and ornate. 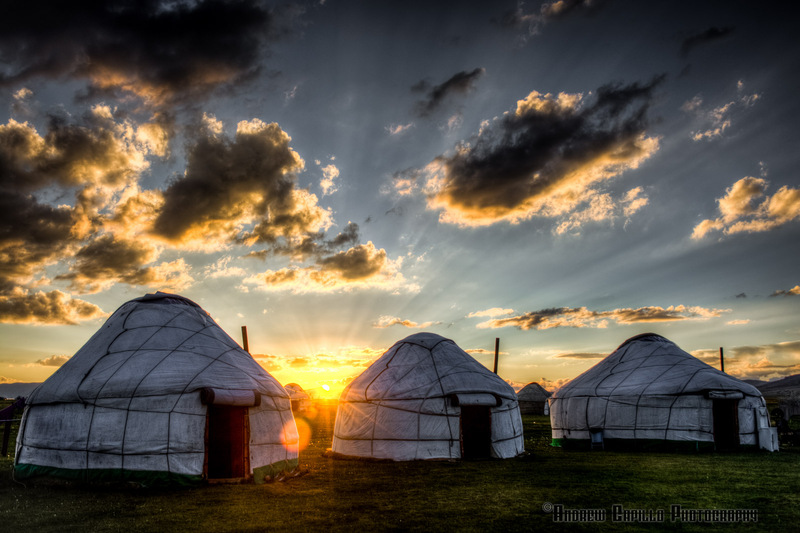 Theirs is the domain of the yurt and their charge is to fulfill all of the duties pertaining to the upbringing of the children. Their wide laps are accustomed to accommodating multiple grandchildren at once. Only these children, who run through the fields with bright, dancing eyes and wild abandon, are likely to be seen bareheaded. 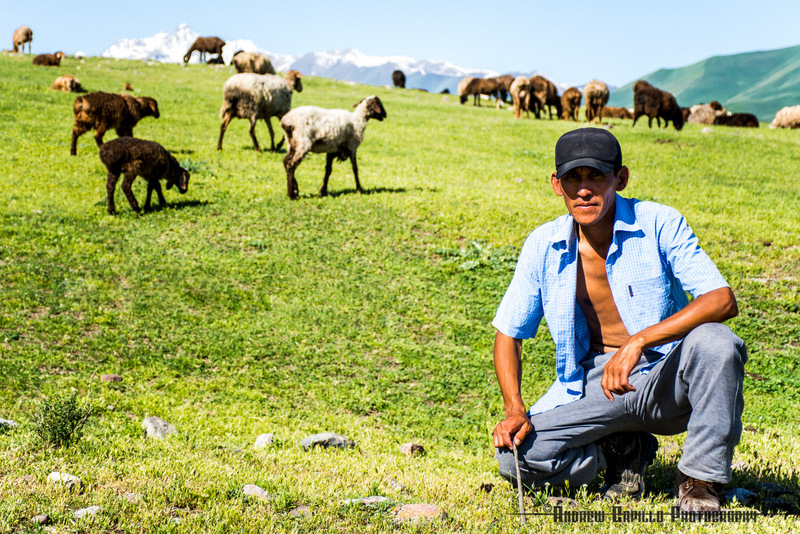 Not the most gregarious of folk, it's easy to perceive the semi-nomadic Kyrgyz herders as gruff and humorless. 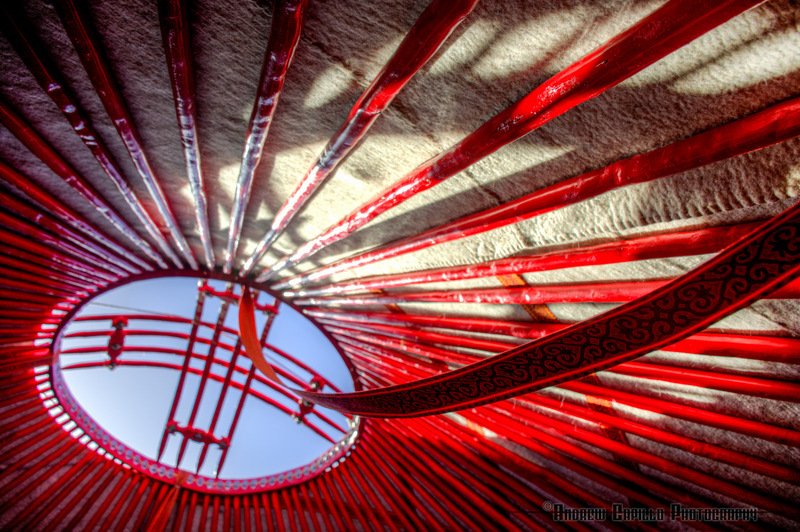 And yet, inside the yurt is another world. Here an ecstatic explosion of color and kaleidoscopic decorations give way to unbridled hospitality, relentless smiles and belly laughs. 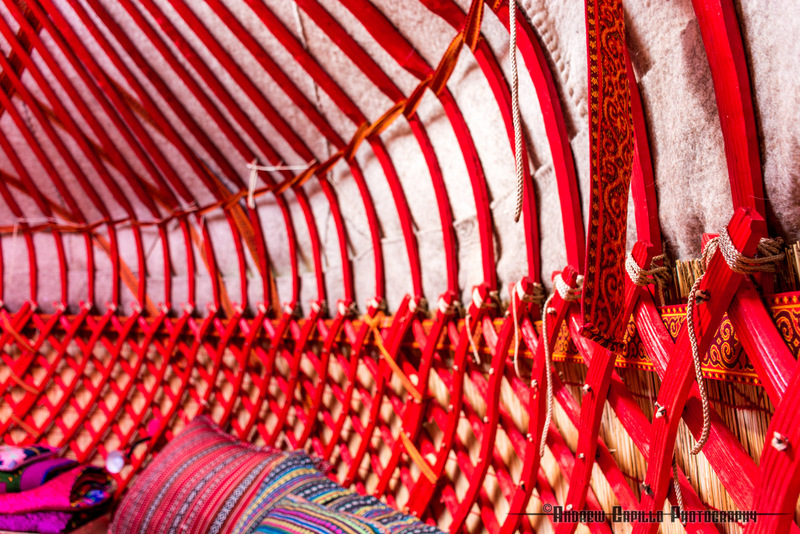 The yurts are constructed by covering red wooden frames, which can be rapidly dismantled for transport, in gray felt walls and tying everything together with braided rope. 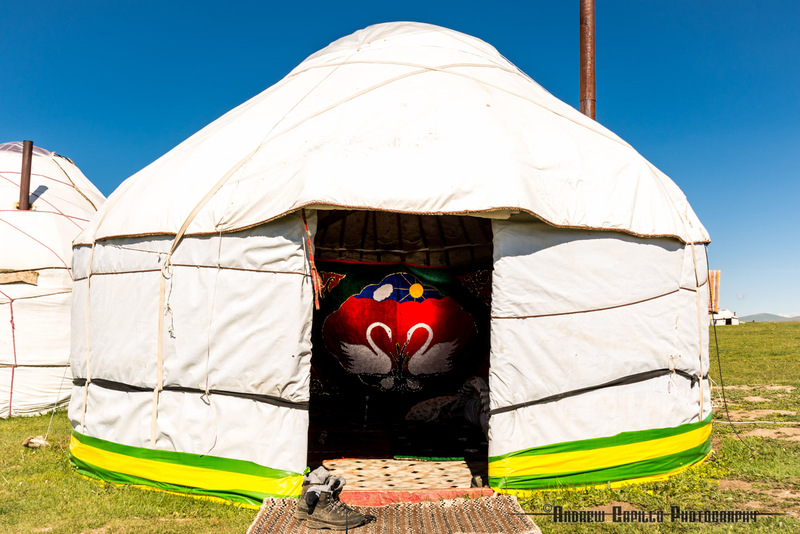 The wooden crown of the yurt (the “tunduk”) has become emblematic of the country and shared Central Asian culture, and even adorns the Kyrgyz national flag. 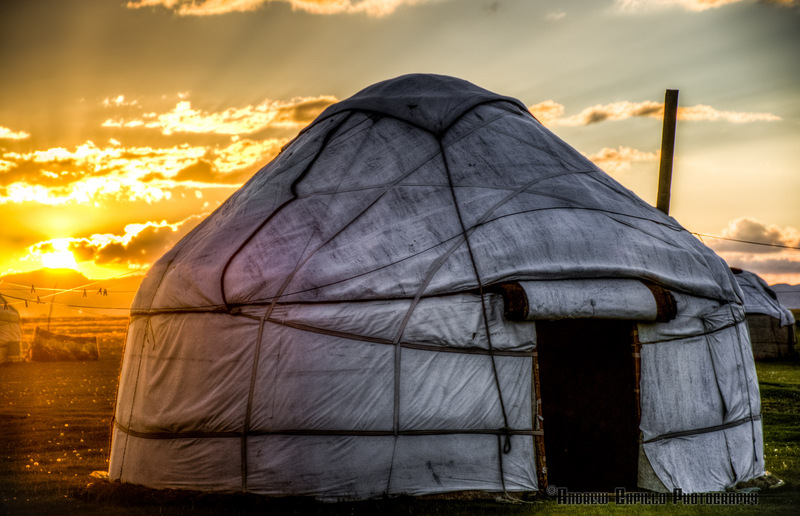 The yurt where I passed the night had an earthen floor covered in rugs, with heaps of blankets and a small stove for burning dung providing the only defense against the freezing cold nights. 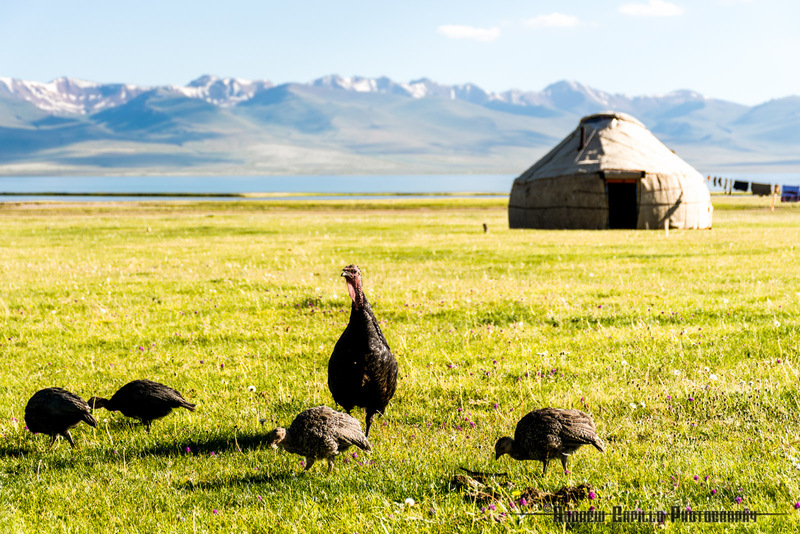 Scattered about here and there, the yurt camps of Lake Son Kul are an enduring element of traditional nomadic culture. 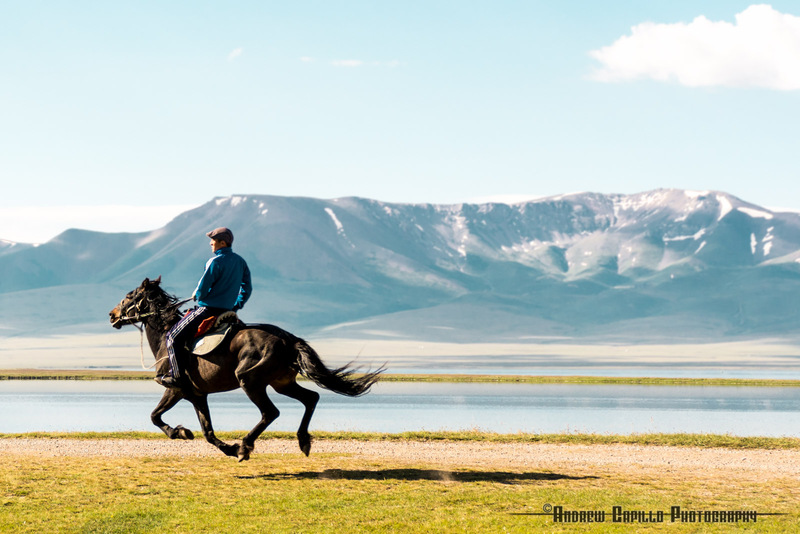 The modern Kyrgyz identity is deeply rooted in the traditions of its nomadic heritage. 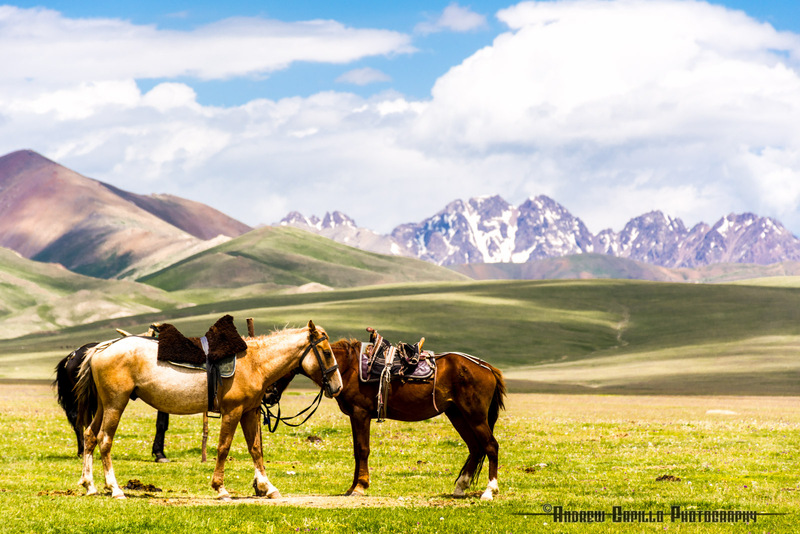 The traditional Kyrgyz nomadic society was divided into tribes and clans, as depicted in the Epic of Manas, which details the achievements of the legendary warrior khan and eponymous hero of the Kyrgyz people. 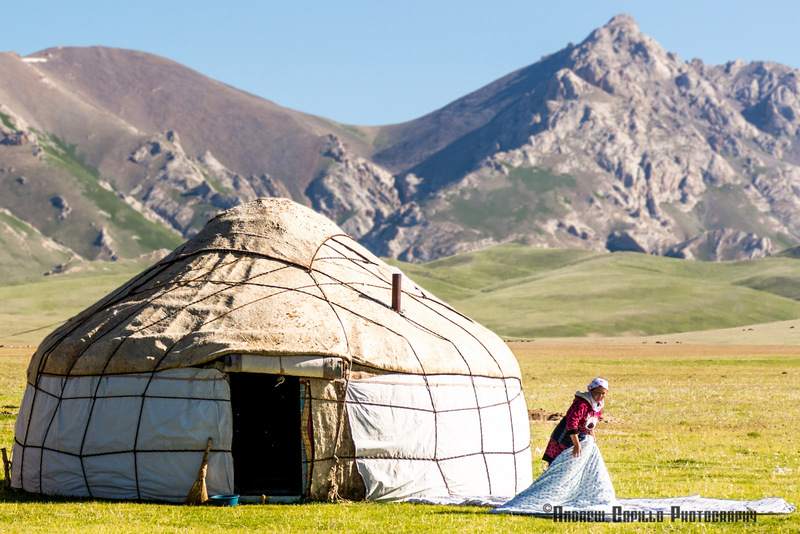 Knowledge of one's ancestors has long been an essential requirement, and it is still common for Kyrgyz people to be able to recount all of their ancestors dating back seven generations. This emphasis on bloodlines has produced a society in which family is of paramount importance. Children live with their parents until marriage, though the youngest son will typically live with his parents until they pass away. Retirement homes are completely unheard of, and neglecting the care of one's parents and grandparents in their old age is a source of deep shame. 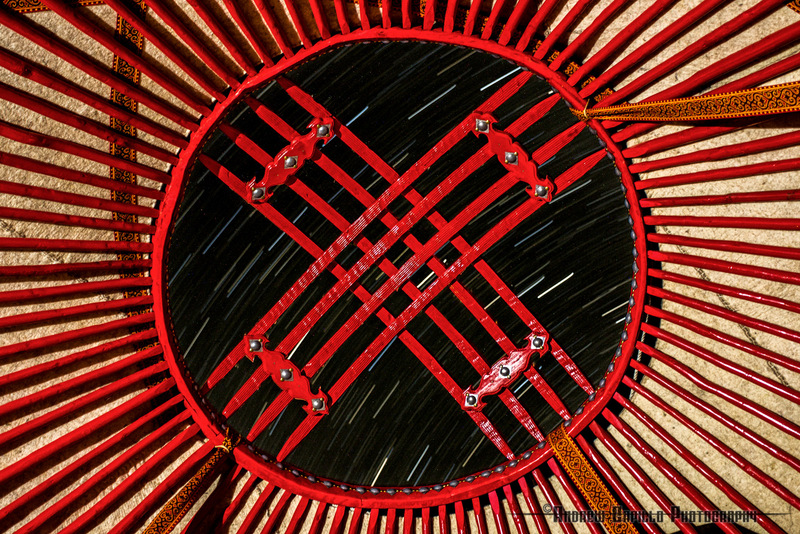 The independence of nomadic life has also helped to produce a people who are self-reliant, independent-mind, hospitable to guests and resistant to rulers. 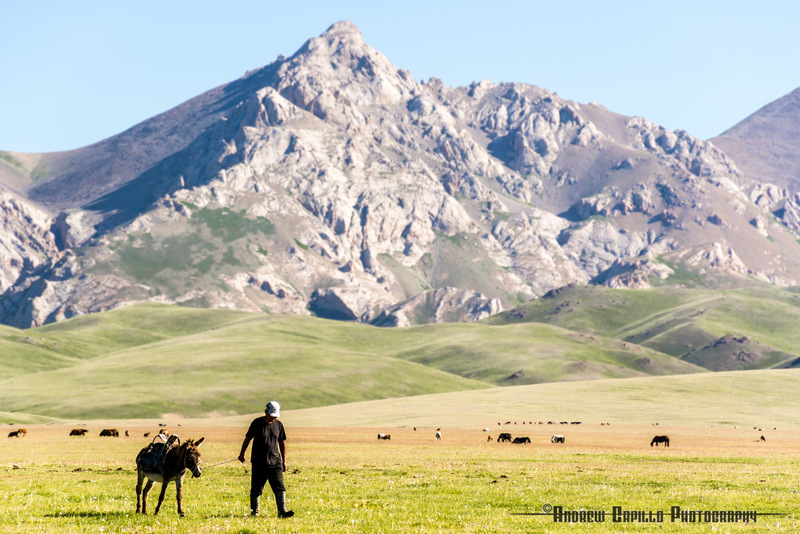 When Kyrgyzstan's first president following independence in 1991, Askar Akayev, called Kyrgyzstan "Our Common Home," we wasn't just mimicking Gorbachev's famous motto for the Soviet Union. Rather he was referencing the idea that Kyrgyzstan is a union of different tribes and identities. 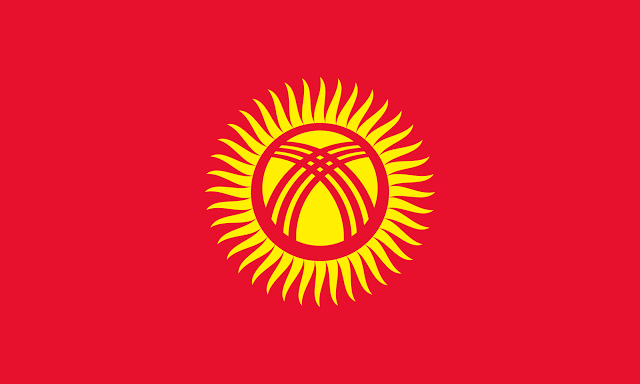 In addition, when compared to the other Central Asian republics, women in Kyrgyzstan enjoy an elevated position in society and the citizens benefit from a more secular and democratic government, and these developments too can be attributed to a society that has always valued its more equitable nomadic legacy over Islamic precepts. 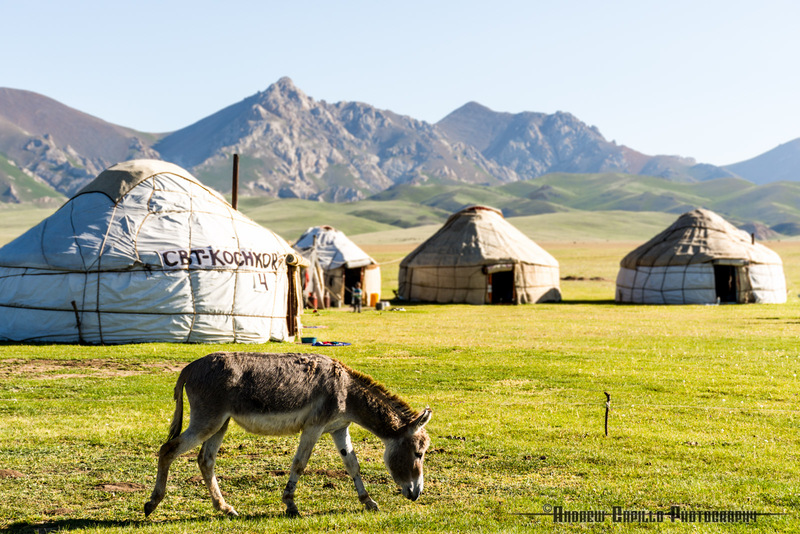 The majority of Kyrgyz people followed a nomadic lifestyle until the 1930s, when the Soviets forced many into collective farms or settlements. Nonetheless, the age-old practice of grazing one's flocks on a jailoo survived. To be sure, there is no more efficient way to raise livestock in the rugged, mountainous terrain that stretches over most of the country. 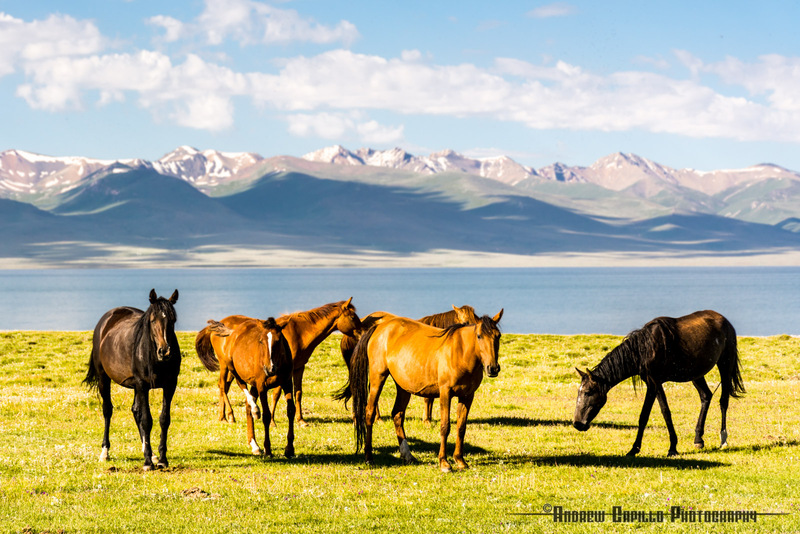 The whole area of Lake Son Kul is pristine in its beauty, and one gets the feeling that the view today is much as the same as the view was a hundred years ago or more. 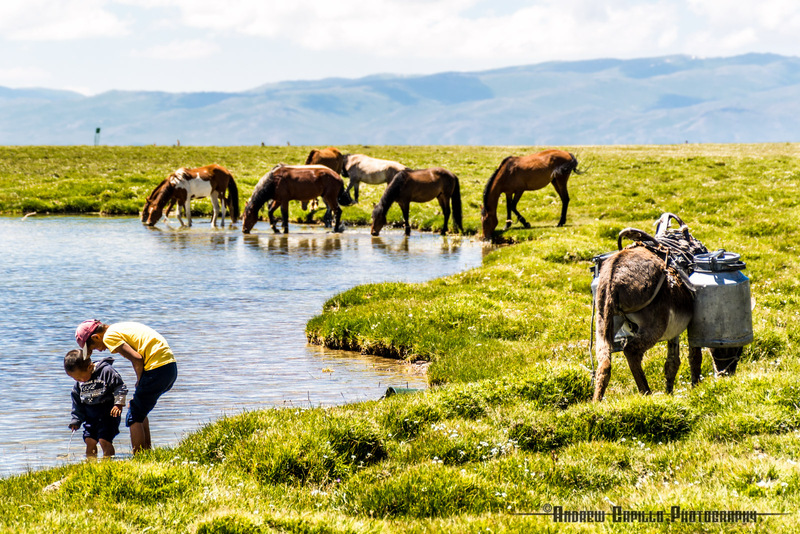 Animals roam the entire expanse of the basin – horses, cows, turkeys, sheep, donkeys. Indeed, this area, with ample reserves of green grass and fresh water, seems like a paradise built for these beasts. Many of the horses I saw had their front hooves hobbled, which to city-bred eyes resulted in an awkward and somewhat humorous hopping attempt at locomotion. 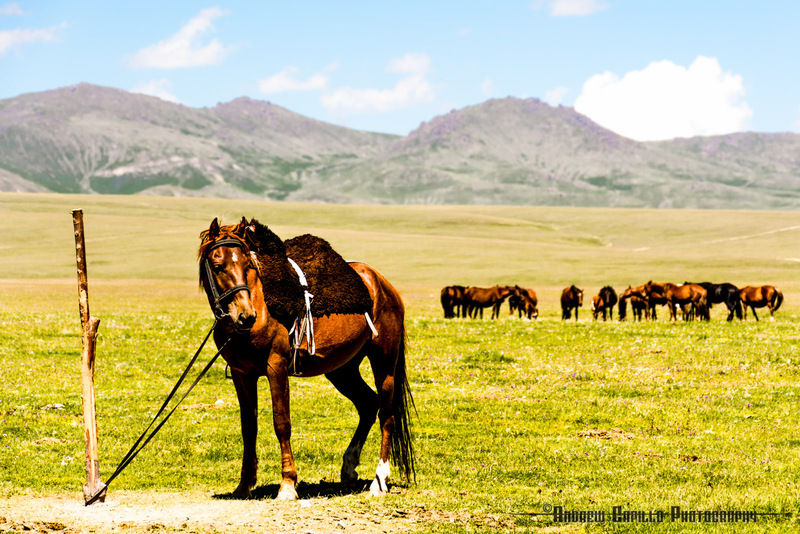 Horses are highly prized in Kyrgyz society as a means of transportation and a source of nourishment and entertainment. Their milk is used to make kumis, a fermented and sour-tasting drink with a slight alcoholic content if you get it fresh in the mountains. Their meat is used to make the national dish beshbarmak, which literally translates to "five fingers," since it was traditionally eaten without utensils. Furthermore, manhood in rural areas is often judged by one's ability with a horse and success as a herdsman, and so training in these arts begins very early. 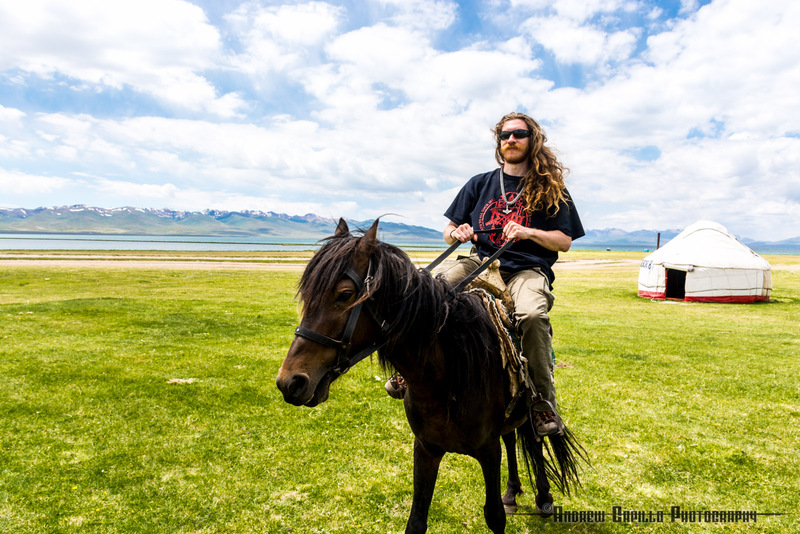 During the summer, festivals are held throughout the country featuring traditional horse games and feats of acrobatic skill.